The Isaiah Mercier Quilt (also referred to as the Emory Quilt) is an appliqué album quilt dated 1846 and 1847. 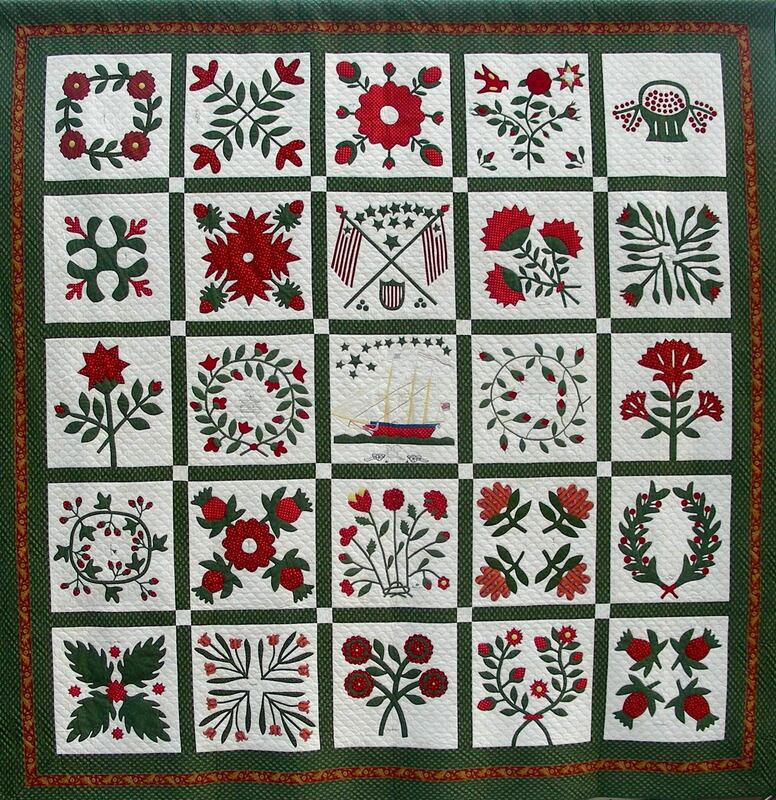 Twenty-five squares feature a random assortment of flower and fruit designs, patriotic flags and a full rigged ship within a grid format, surrounded by an ornamented serpentine border. Fabrics are red and green roller-printed cottons on white cotton ground, with white cotton backing, herringbone and shell quilting. Total size is approximately 102”x98”. The blocks vary quite a bit in size, but the sashing and cornerstones magically accommodate those differences. Techniques on the quilt include appliqué, layered and reverse appliqué, stuffed appliqué, ruching, inking and embroidery. The border includes an inserted stripe of red and gold print of roping and swags to frame the quilt. The quilt is said to have been made for Isaiah Mercier (1781-1857) by members of the Sunday school class of the Emory United Methodist Church, Ellicott City, Howard County, Maryland. Most of the blocks are inscribed in ink with names, and two of the blocks contain verses written in ink. The quilt had been in the continuous possession of Isaiah Mercier’s descendants until 1984 when it was donated to Howard County Historical Society.